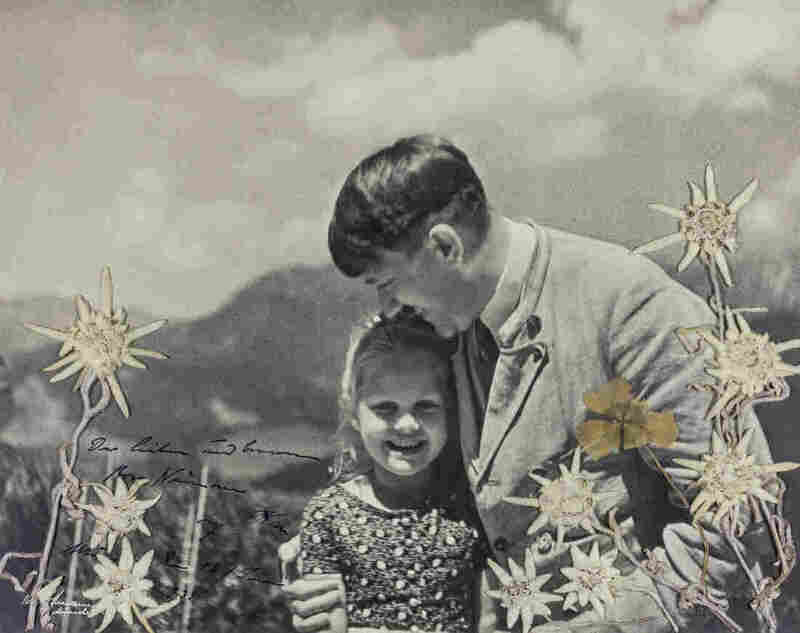 Photo Of Hitler Posing With A Girl Who Had A Jewish Grandmother Auctioned For $11.5K Rosa Bernile Nienau was apparently a favorite of the man responsible for the murder of 6 million Jews. Hitler personally inscribed the photo. In this 1933 photo released by Alexander Historical Auctions, Adolf Hitler embraces Rosa Bernile Nienau at his mountainside Bavarian retreat in Germany. The photograph is inscribed by Hitler himself in dark blue ink. A Maryland auction house has sold a photo showing Nazi leader Adolf Hitler with his arm around a young girl of Jewish heritage for $11,520. The young girl, named Rosa Bernile Nienau, was about 5 or 6 at the time. Known as Bernile, she had a Jewish grandmother but was apparently a favorite of the man who led Nazi Germany, which along with its collaborators murdered 6 million Jews during the Holocaust. The two appear happy in the 1933 photo, with Hitler smiling and embracing her as she grins at the camera. Alexander Historical Auctions says Bernile was known as "the Fuhrer's child," and the photo is personally inscribed to her by Hitler. "The dear and [considerate?] Rosa Nienau Adolf Hitler Munich, the 16th June 1933," Hitler's writing says, in blue cursive script. They had a common birthday of April 20, and the image includes nine edelweiss flowers and a four-leaf clover that she apparently placed on the photo. "Research shows that even early on, Hitler became aware of the girl's Jewish heritage but chose to ignore it, either for personal or propaganda reasons," the auction website states. "The photos of Bernile and Hitler were meant to portray the German leader as a child-loving person, 'a man truly in touch with the young,' according to James Wilson's book, 'Hitler's Alpine Headquarters.' "
"I fell out of my chair," says auctioneer Bill Panagopulos, remembering when he first saw the photo. It defies belief, he tells NPR, that "this monster could have any affection for children." Members of Panagopulos' own family were killed by Nazi soldiers during the war, in the Greek town of Kalavryta. The buyer's identity is not public. Hitler and Bernile apparently met on the date of their common birthday at Berghof, a home of Hitler's in the Bavarian Alps, and she later wrote him letters. The auction says that in 1938, "the family was ordered to cease contact with upper party members, including Hitler." She died five years later of polio. Panagopulos says the auction house has received criticism in the past for selling Holocaust-related documents, including the diaries of Josef Mengele, who conducted sadistic "medical" experiments at Nazi death camps. Panagopulos adds those documents were sold to a Jewish descendant of Holocaust survivors. "If you stop selling Holocaust documents," or documents from other horrific periods of history, "it's going to disappear," says Panagopulos. He adds that in terms of preserving proof of what happened, "bad history is as valid as good history."